G.I. 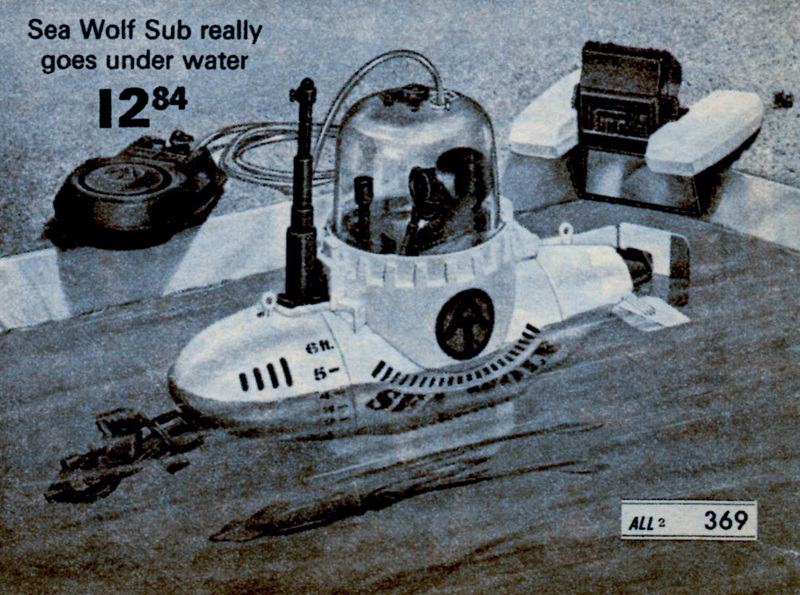 Joe voyages beneath the sea in his one-man mini submarine in Fantastic Sea Wolf (7460), released in 1975. A great idea that worked moderately well, the sub can sink or float as kids pump the provided bellows. A floating "Underwater Viewer" let kids see all the action, in theory. In practice it didn't work very well. Danger is provided by a menacing mid-sized squid. Watch out for his ink, Joe! Note the price difference in the 1975 Sears catalog (above) and the 1976 wards catalog (below).